During the first visit to the obstetrician or gynecologist, at the beginning of your pregnancy, blood is usually taken to check for a number of diseases and conditions. An element of this study is the determination of hemoglobin levels in the blood. This will be repeated later in pregnancy. Hemoglobin is a component of your red blood cells. This pigment provides the transport of oxygen into your body, from your lungs to the different organs and tissues. To a large extent, the substance consists of hemoglobin from iron. 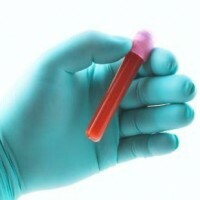 To determine the hemoglobin level, the number of red blood cells in the blood are examined. If your hemoglobin is too low, you have anemia - there is not enough hemoglobin in your blood to transport oxygen to all your cells. It is easier for you to get anemia during pregnancy than when you are not pregnant, because your body produces about 1 liter of extra blood for the placenta. For this you need extra iron. The baby will get the iron that is already in your blood for the creation of his own blood. The iron deficiency that occurs in your blood causes anemia. It is normal for you to feel tired and / or dizzy faster if you suffer from anemia. Blood anemia can also cause you to be more susceptible to infections than usual. When the obstetrician or gynecologist finds that your hemoglobin level is too low, you will probably be prescribed iron pills. These pills contain an iron preparation that replenishes the iron deficiency in your blood. An iron deficiency can be prevented by getting enough iron through your diet. Meat, eggs, green leafy vegetables, and legumes contain healthy levels of iron.